ReelBar.com has been built on the WordPress platform, an easy to use but powerful content management system that allows our team to make content, picture, menu and video updates with just a few clicks. We can also add new pages and post news updates without a web developer’s help. 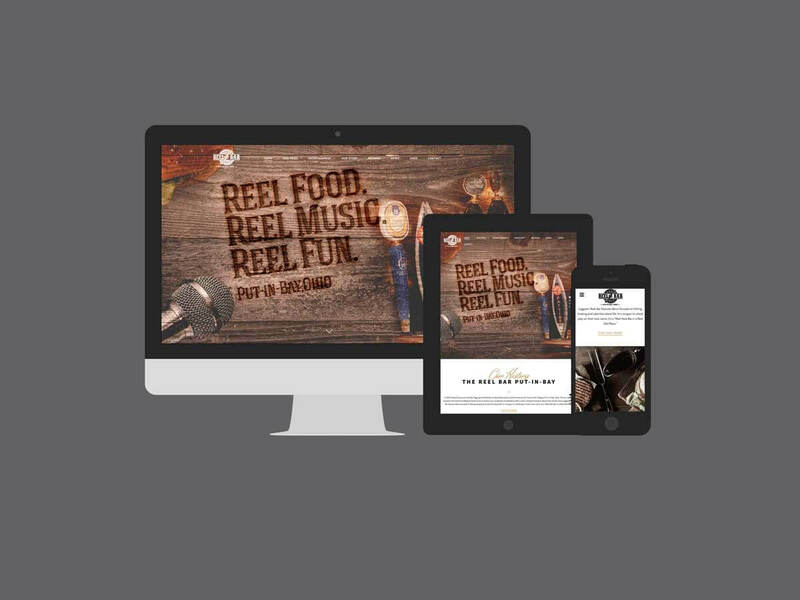 “We like the fact that Reelbar.com is now responsive, resizing itself for any device it is being viewed on. Given that majority of our customers are viewing our website on a mobile device, we felt it was imperative that reelbar.com could be easily viewed and navigated on these devices.” – Andy Christensen. ReelBar’s new website was handcrafted by BrandBrella, a Sandusky and Cleveland Ohio based web design and internet marketing company. Robert Crabtree from BrandBrella understood our vision and was the perfect partner to help build and fulfill our specific needs. They knocked it out of the park both visually and developmentally. Click through our website to see for yourself. For more information about Reel Bar call us at 419.285.1318 or visit us at 461 Catawba Ave • Put-In-Bay, OH 43456. If you are interested in finding out more about custom web design or internet marketing, visit our friends at BrandBrella.com or call 888.777.0121.